Living... in an apartment in Miami with a closet full of Hawaiian shirts. He also has over 50 roommates: his pets, which include many lizards, birds and a Capuchin monkey named Spike. But don't tell his landlord, Mr. Shickadance. The animals aren’t allowed there and are forced into hiding anytime the landlord comes by. 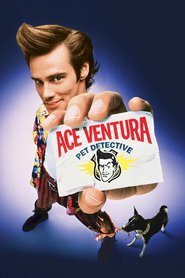 Profession... a pet detective. Ace says it's like being a human detective, except it's more serious and important. He specializes in finding missing animals. Ace is great at his job; just ask him! But business has been pretty slow lately, and he is having trouble making ends meet. Relationship Status... single. Though that is not to say he hasn’t had opportunities with the ladies. Recently, Lt. Lois Einhorn asked if Ace would like her to make his life “a living hell.” Ace told her thanks, but he’s not ready for a relationship right now. Challenge... solving an important case: finding Snowflake, the missing 500-pound dolphin mascot for the NFL’s Miami Dolphins. This is not his usual missing dolphin case. Ace thinks a guy crazier than Hannibal Lecter could be behind it. Personality... incredibly hyperactive. Even though Ace acts like he is on a mega-dose of speed, his energy appears to come naturally. He is also eccentric and self-absorbed, but you have to admire at least one thing about him: he sure does love his animals. 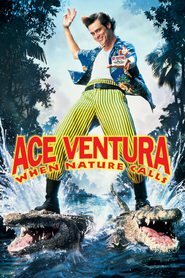 Ace Ventura's popularity ranking on CharacTour is #1447 out of 5,000+ characters. See our top-ranked characters and read their profiles.